It is with great sadness that I am writing to tell you our dear Graham passed away peacefully at 1:30pm on Thursday 2nd July surrounded by his family. Thank-you for your love and support over the last 27 months. Thanks to all his supporters, we were able to have this precious time with Graham that will be in our hearts and memories for ever. Graham's funeral will be held at 2:30pm Friday 10th July at the Boyd Chapel in Springvale Cemetery, followed by the burial. Refreshments will be at the Mulgrave Country Club from 4-6pm. We request no flowers but donations can be made to the "a donor for graham" fund via the website and envelopes will be available at the chapel. Condolences can be left online here. Graham pictured with Jack and Poppy as he celebrated his 44th Birthday in hospital on Monday 22nd June 2009. Since my last update Graham has become confined to bed because of his lack of mobility. They have done every test under the sun and finally late last Friday we heard that a test done on Graham's spinal fluid at Westmead Hospital in Sydney came back positive for a fungal infection. As a result they upped all his anti-fungal medication and today we got the news that new MRI scans show a reduction in the inflammation and the absence of some of the lesions on his spinal cord. Good news all round! Once things improve a bit more, Graham will be transferred to a rehab facility in Caulfield to get him moving again and then home. I am also delighted to announce that The St Leonard's College Community has organised another Charity Auction Dinner evening to be held on Friday 31st July. We are very involved with this year's event and are fortunate to have been able to book the event at the newly refurbished International of Brighton in Bay Street. Have a look at their website. The renovation is spectacular and will look beautiful on the night. The theme this year is "Celebration for Graham". We met the "Challenge" last year and as you know Graham's health is slowly improving and wonderfully he is leukaemia free, but we still owe a great deal of money due to many complications adding to the overall cost of Graham's treatment. So, the event will still be a significant help to us but also a wonderful opportunity for us to personally thank our many generous supporters. In addition, a portion of the money raised will be set aside for any St Leonard's families who may find themselves in difficult situations in the future. If you would like to book a table of 8-10 people, please email me and if you would like to donate items the auction, please contact Bronwyn Betro on 03 9503 0990 or Ross Walker on 0425 836 613. Finally, I would like to say a big thank-you to John McKinstry, who is Dad to one of Jack's classmates. I have just been informed by my brother Damian (who is doing a sterling job receiving all the a donor for graham mail) that John recently had his 50th Birthday celebration and he asked all his guests to make a donation to Graham's fund in lieu of gifts. In total he raised $2,800!! Thank-you so much John for such a kind and generous offer. Notice Poppy climbing the fence in the background! Well it has been a long time between updates and the reason for this is that things have been going along swimmingly. As I said in my most recent email update, we are busy with the kids, work, hospital visits and are getting our back lives on track. Since Feb this year, we managed to get away at Easter with the kids; Graham and I went to a friend's wedding in the Dandenongs and even got to stay overnight in a lovely B&B without the kids (thanks Marianne!). Unfortunately, this state of affairs has been upset and Graham was re-admitted to hospital a week ago as he was having trouble walking. They have done all sorts of tests and once again, he has the Doctors stumped. MRI's of his spine show inflammation of the spinal cord (hence the lack of mobility) but no-one seems to be able to tell us what is causing it. As of today, they have ruled out any sort of infection or a relapse of leukaemia and think it may be our old friend Graft vs Host Disease. If this is the case, Graham will be one of only a handful of people to have ever suffered from GVHD of the Central Nervous System. He certainly likes to take the unconventional route. They have re-started him on high dose IV steroids tonight and we hope to see some improvement within the next 72 hours. It has been a while between updates. I am sorry and I know a few of you have been checking to see how Graham has been getting on. We are all well and enjoying getting back to some sort of normality but along with everyone else we watched in horror as the bushfires raced through country Victoria claiming the lives over 200 people on Saturday 7th February. Our thoughts are with the thousands of people who have lost their loved ones, their homes and have been injured by this disaster. Thankfully, Graham's knee infection is resolving but MRI results this week showed that the bone around the joint is necrotic and he will probably require a knee replacement at some stage but the Docs don't seem too worried at this point. It really pales into insignificance (easy for me to say!) when you put it alongside the fact that it is over 6 months since Graham's transplant and results from a blood sample sent to Seattle show that he remains 100% donor and there is no sign of leukaemia! And this is the longest time he has spent out of hospital since returning to Melbourne in October. We continue to be blessed and the amount raised has reached over $450,000. To think it is less than 12 months since we started our fundraising and we have almost reached our orginal target of $500,000. Unfortunately, Graham's treatment and recovery didn't quite go to plan! We have the desired result but it came at twice the cost. Our mortgage broker, Jeff Oberman at RAMS in Bentleigh who helped us re-mortgage the house to have enough money to start the treatment last year, saw some of the recent press on Graham and he rang me a few weeks ago to say that he had organised a 6 month break on our mortgage payments with no interest during this time. We were just blown away by this loving act and are so grateful to have 6 months breathing space while we get back on our feet. The recent media stories about Graham resulted in $20,000 worth of donations and we thank everyone who contributed to Graham's fund. We have more fundraising events planned for this year and I will post details soon. Nadine Evans, winner of the Hawthorn Football Jumper. Beautifully framed by Royce de Hoedt at "Framed @ Moorabbin". Thanks Royce. Well it has been a busy week! Graham got out of hospital on Monday and we had considerable interest from the media about Graham's battle. Please click on the links to the right to see what we have been up to. We would like to thank everyone who has been in touch this week with kind words of support and donations. Graham is enjoying being back home and continues to improve each day. "Stem cells give leukaemia patient a second chance"
We had a very quiet holiday but Graham was out of hospital in time for Christmas and it was an incredibly special time for us. 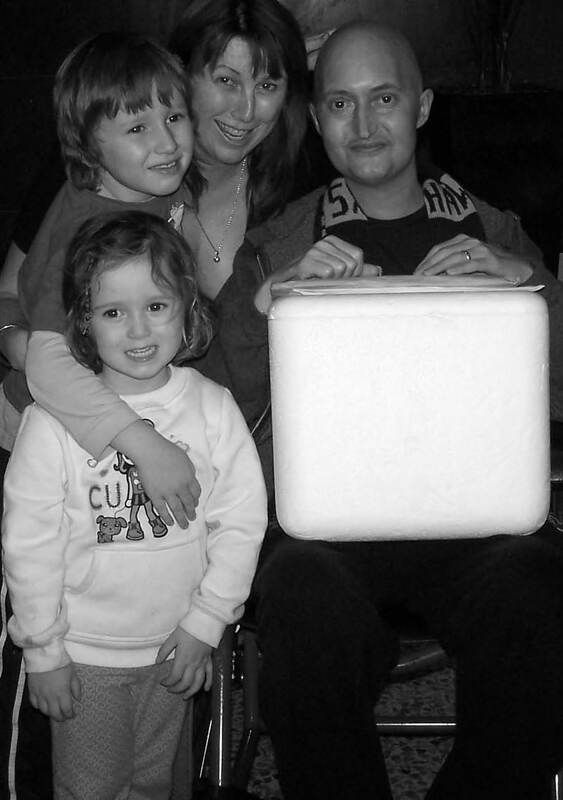 To know that Graham is free of leukaemia and to be all together at home was just the best feeling. We hope that the trials of 2008 are well and truly behind us and we look forward to a peaceful 2009. Our raffle was a huge success and has raised $25,000 towards Graham's outstanding medical bills. A big thanks to all our supporters who took time out of their busy lives to sell tickets and to my brother Damian who processed all those books of tickets! As you know, when we returned from Seattle at the end of October last year Graham was in a very precarious position. His immune system had been striped bare by the stem cell transplant & the subsequent treatment and though he no longer had any sign of leukaemia, he was battling a very rare, life-threatening fungal infection. This was another tough battle for him and meant 5 weeks in hospital undergoing all sorts of procedures including several injections into his left eye, skin, liver and bowel biopsies. He continued to face each setback with the same quiet courage that he has shown over the last 21 months and I am pleased to say that he has surprised his doctors once again and has beaten the infection. He spent 3 weeks at home over the Christmas break and started on the road to wellness. 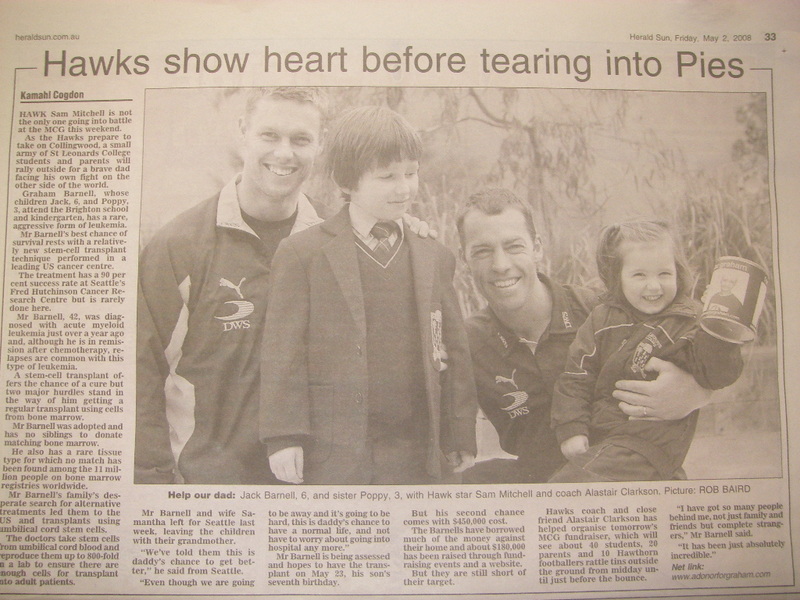 Alastair Clarkson has continued to be a great support to us and is helping Graham regain his strength. They started a walking program together by the bay at Brighton on Christmas Day and they will be setting some goals together after the summer holidays. I am sure we will have a much stronger Graham by Christmas Day 2009! Unfortunately, the program has been put on a temporary hold as Graham had another setback on the 30th Dec. I had to rush him to the emergency department with an infection in his blood and right knee. He has had 3 operations to wash the joint out and a stay as an inpatient once again to receive high dose IV antiobiotics. It meant he was in hospital for New Year but he is doing really well and we expect him home by the end of the week. He continues to fight the most amazing battle and I can honestly say he has NEVER once complained. 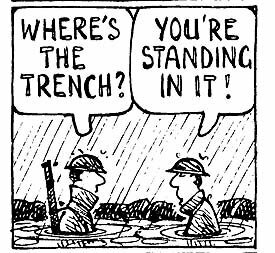 I am sure that his equanimity (some may say stiff upper lip!) has helped his many recoveries. Elise Mooney from Channel 9's A Current Affair filmed a follow-up story on Graham before Christmas and it should air in the next couple of weeks. Click on the image to the right of Graham on the beach to watch the original story. I will send another email once I know when it will be shown so you can set the recorder! Well Christmas is almost upon us and Graham continues to do well with his fungal infection almost completely resolved. He continues to surprise his Doctors with the opthalmologist at the Alfred saying this week that "his eye infection was ridiculously improved"! 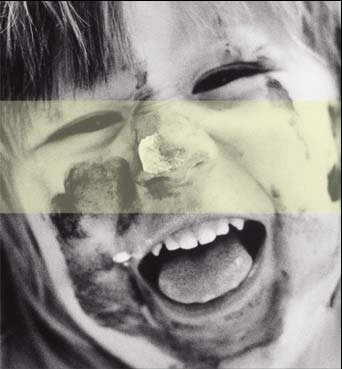 A big thank-you to Julia Blanka, an artist in Adelaide who recently held an exhibition of her work antitled "Art for Graham" which aimed to raise money for Graham. 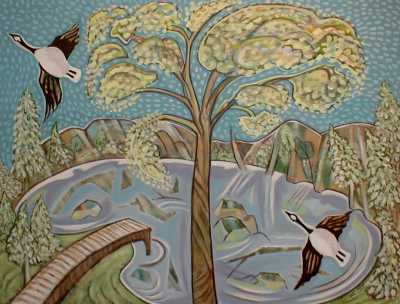 Go to www.myspace.com/juliablanka for a look at her work. 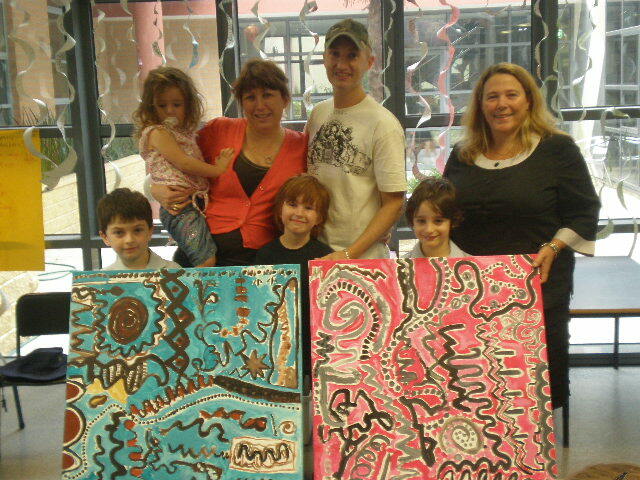 Julia said "The exhibition went really well, with 9 paintings being sold and $70 worth of donations alone for Graham. I managed to raise $550 for you and I have a lady interested in another painting so this amount may raise to be a little over $600. 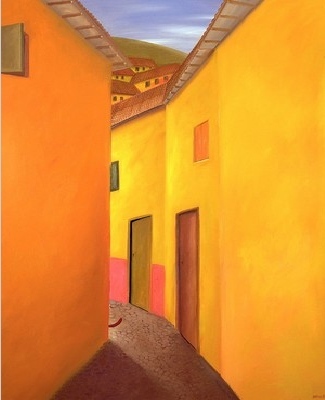 We had Barry Crocker pass through the exhibition a week or so ago who really loved the paintings and thought the cause was great. I hope I've raised some awareness in regards to Graham which will let the donations keep coming in. 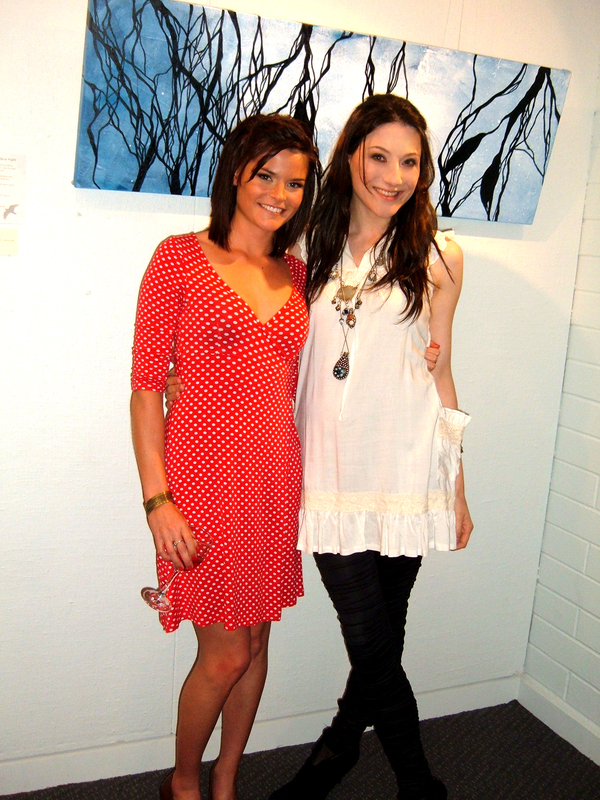 I would like to thank you for making my art exhibition an event about awareness and strength. It was very inspirational for me, and it has inspired me to do more exhibitions for a cause :) All the best for you, Graham and the rest of the family. 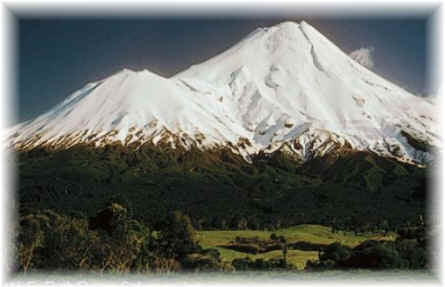 I hope 2009 is the start of a healthy, happy and prosperous new year for you all. Julia :)"
Thank-you so much Julia. As I have said before, every step along this jouney has brought us into contact with the most genorous and kind people. 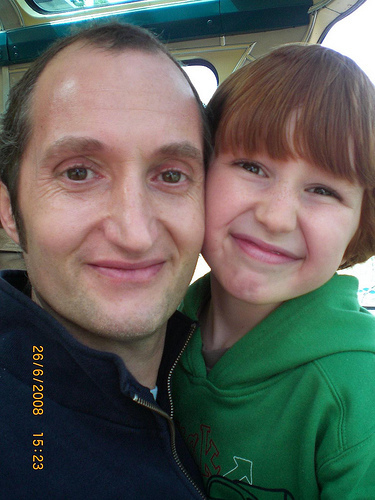 Julia found out about Graham's plight from an article written by the Grandfather of Poppy's schoolmate Cheyanne. A Current Affair filmed us yesterday for a follow-up and it should be shown some time after Christmas. I will let everyone know the exact date as soon as they let me know. All is well and we are very relieved and happy. The picture to the right was taken by Janine Mitchell just after we stepped off the plane almost 5 weeks ago. Graham went into the Alfred hospital the next day and arrived back home on Monday night this week. He goes into the hospital 3 days a week for blood tests and IV meds and a nurse comes to us the other days. We are all so pleased to have him home and thankful that his fungal infection has cleared up. He is very fatigued and thin so he will be taking things slowly but with some decent food and the comforts of home, we are sure he will regain some of his strength back soon. 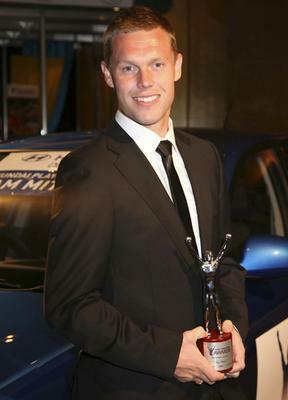 On another note, the fundraising is continuing and the very generous Sam Mitchell, Hawthorn Captain, donated his prize for winning The Age Footballer of the Year, a Hyundai I30 car, to the fundraising campaign. What a star! 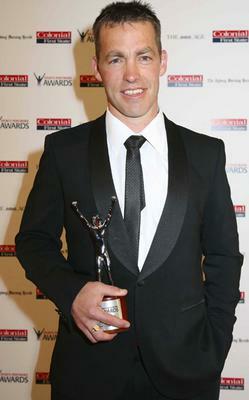 On the same night, Alastair Clarkson won coach of the year, so a great night for the Hawks. I have spoken to Hyundai and they are willing to keep the car and give us the purchase price to go into the fund, which will take us over the $400,000 mark! Here are some articles about Sam's donation a some pics of Sam & Alastair with their trophies on the night. He no longer has Graft vs Host Disease (GVHD) (negative Skin, Colon & Liver Biopsies). This is fantastic news, as they can now taper his immunosuppressive meds. They actually gave us a very sobering message before we left Seattle, saying that if the GVHD didn't resolve, it would be a very unlikely that he could overcome the fungal infection. The tests from Seattle didn't give a clear picture of what combination of drugs would be best to fight the fungal infection, so they are keeping him on all 4 until they see any change. The infection seems relatively stable with only a few new skin lesions and the remainder are looking better. He did develop what they thought was an infection behind his left eye but they have been unable to definitely say whether it is the fungus or not (even with a biopsy - ouch!). It grew quickly over a couple of days and they were worried he may lose his sight so they have been injecting it with anti-fungal drugs just in case. Since then, it has remained the same size and the hope now it that as he comes off the steroids and other drugs that are suppressing his immune system, he will be able to fight the infection himself. Other good news is that he has come off the TPN (IV Nutrition) and is eating normally. So we are travelling in the right direction and now look towards Christmas and a regaining normality in 2009. We arrived home tired but safe and sound last Thursday. I am sorry about the lack of updates in the interim but it has been an emotional week. It is so wonderful to be home and I have been crying at the drop of a hat but as Jack said with tears in his eyes on arriving to the house, "don't worry Mum, they're tears of joy". Sweet boy. Graham spent one night at home and was admitted to the Alfred Hospital for IV treatment of his fungal infection on the Friday. At admission, we found out that the fungus that is causing his infection is very rare. What else? It is called Scopulariopsis Brevicaulis and they have never seen a case like this before at the Alfred. So they have been doing lots of reading up and consulting with experts in Adelaide to work out the best treatment. 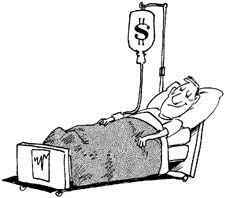 Unfortunately, it is very resistant to therapy and may spread quickly to other organs. 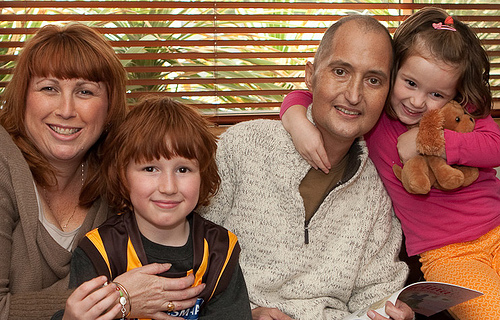 As a result, Graham has had all sorts of tests of his lungs, brain, bones and heart. They also added another anti-fungal to the two he was already receiving and while there have been a few new skin lesions, the infection isn't running rampant and hasn't spread away from the skin. So that's all good. We are waiting on sensitivity testing on the strain of fungus that Graham has and hopefully the results will allow his Docs to target the therapy rather than giving a lot of anti-fungal drugs as some of them have nasty side-effects such as liver damage. They started to taper his steroids mid-week (which will help with his immune reconstitution and hopefully increase his ability to fight the infection) and his diarrhea hasn't worsened, so this is also good. The worry is that if he still has any active GVHD, the steoid taper will make it flare again, necessitating an increase of immunosuppressive therapy, making him even more susceptible to infections and reducing his ability to fight the current one. He will have a colonoscopy with a biopsy next week and as his Doctor said to me, we will be hoping to see a damaged bowel but no evidence of active GVHD. This morning we found out the wonderful news that Graham has no minimal residual leukaemia (MRD). This result is essential for long-term survivial and was the aim at the beginning of our journey so it is impossible to over-estimate the importance of this news. As Prof MacIntyre says in her 2005 paper on the test, "molecular negativity is indispensable for survival...in this rare, poor prognosis, subset of AML." 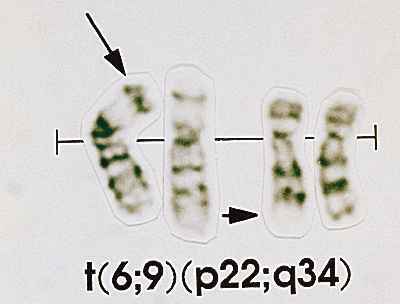 Bear with me while I explain a bit more..
Graham's disease was characterised by a rare (of course) translocation of genes 6 & 9, also known as DEK-CAN as shown to the right. The most sensitive testing available for this translocation is a (RQ)-PCR molecular test done in Paris by Prof Elizabeth MacIntyre. 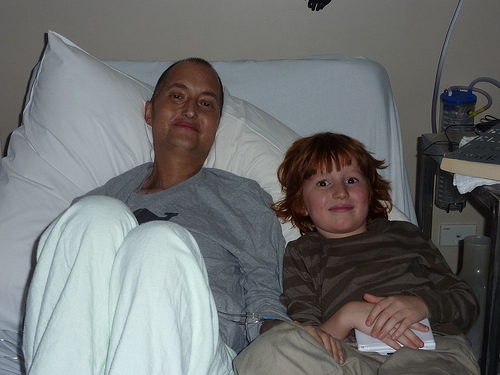 Last year we sent her samples from Graham's initial diagnosis and when he was in remission. The reading at diagnosis was 141 and when in remission 0.14. Bear in mind that no disease was detectable at remission by any of the tests done in Melbourne and while there was a 3 log decrease on the PCR test from diagnosis to remission, there was still detectable disease and sure enough, Graham relapsed shortly after. So it is an extremely sensitive test and in Prof MacIntyres' paper again, you can see that the only survivors are the ones that reach molecular negativity. Don't want to beat you over the head with it but this is the most wonderful news. It was, however, tempered somewhat by the fact that Graham woke with chest pains this morning and an ECG showed ST changes which may indicate a heart attack. He has been transferred to the Cardiac Unit for 48 hours of observation but we are not too concerned at this stage. His pain has subsided and an echocardiogram showed that he has a very small pericardial effusion (accumulation of fluid between the pericardium and the heart) which could indicate pericarditis. This could be caused by the infection or may be due to the radiation and chemo he received prior to the transplant. If so, it should resolve of its own accord. Even with the effusion, chest pain, his continuing infection and immunosuppressive therapy for the GVHD, today's news of no MRD really is a "modern-day miracle" (thanks Cath for the Fr Bob Maguire quote). He still has a long way to go to be fully recovered but he has no leukaemia! We feel so lucky and thankful and we are not giving up now. 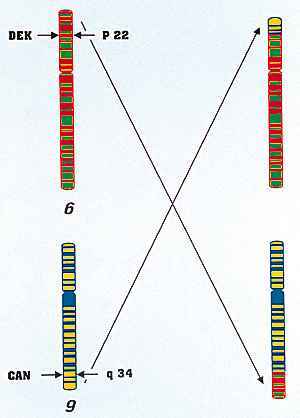 Gene involvement. In the schematic presentation of the translocation, the genes involved are DEK-CAN, as shown. Well, it looks like we will be heading south for the winter much sooner than we thought! We had planned to leave on the 3rd Nov but last week Graham developed a fungal infection in his leg and on Friday his Doc said we should get home. Essentially he is well but they think we should use this window of opportunity in case the infection gets worse and he needs another hospital stay. So we leave on Tuesday evening! I can’t quite believe it. He is being treated with two IV anti-fungals which I will continue to administer on the plane and we will go to the Alfred when we arrive in Melbourne. You just can’t be too careful with any infections while he is still on immunosuppressants. I would also like to thank our new friend Michelle who has recently arrived from California to be the 10th person to receive Dr Delaney's expanded cord blood transplant. She made mention of us on her blog and her supporters have generously donated to our fund as a result. Michelle and her team have been doing a fantastic job, recuiting almost 16,000 people to the bone marrow register in her search for a donor since 2007. 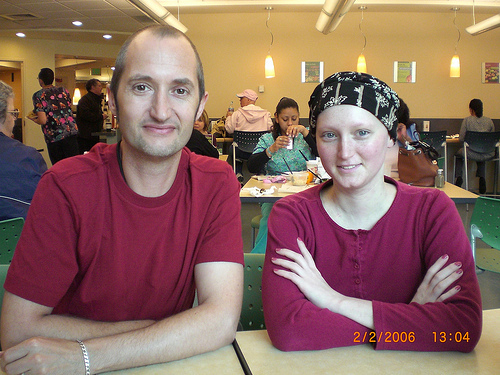 Unfortunately, she relapsed in May of this year and after some more chemo to get back into remission made the decision to come to the Hutch here in Seattle. Michelle, you can do it and you are in the right place to get it done!! All is well. Graham is still at home but has been into the clinic twice this week for the last doses of Infliximab and Mesenchymal Stem Cells. He is back on oral clear fluids and IV nutrition (ie; he isn't allowed any food) for a few more days so they can see what effect coming off the drugs has on his diarrhea. The poor thing is so desperate to eat but is existing on cups of tea, watered down juice and chicken broth. The IV nutrition includes a bag of lipids daily as well as a bag of fluids and nutrients, so he is getting the correct amount of calories and is even putting on weight but it just doesn't sate the appetite nor replace the need to taste some food. As you can see to the right, Alastair and Sam Mitchell popped into the clinic to see Graham on Tuesday, before they left for Chicago to meet with the some of the coaches and players from the Bears. They came bearing gifts and Graham just had to change into the premiership t-shirt for this photo-op, even though he was getting his last dose of Infliximab at the time. We had a clinic appointment today and they are cautiously talking about getting us out of here earlier than the 100 days! Graham finally got out of hospital last Thursday night after being delayed by increasing diarrhea. He has lost a lot of weight (he is down to 59kg from his original weight of around 70kg) and is still on IV nutrition while we introduce small amounts of food to see what is going to be absorbed by his gut. He is feeling hungry which is a great sign but is being tortured by the many ads for fast food on the TV here. The kids are very excited about Halloween and have their costumes ready for trick or treating and we carved some pumpkin heads on the weekend. Click on the pic on the right for some more of Poppy's "smiley face" and Jack's "skull & crossbones". We had a lovely surprise visit from Alastair (Clarkson) on Saturday afternoon. It was great to sit and chat and hear all the news from home. The support and encouragement he continues to give us nothing short of fantastic. Well, I have happily relinquished the role of substitute writer on Graham's Blog and he continues to improve each day and the Doctors are talking about getting him out of hospital by the end of this week. My Mum arrived on Monday and is slowly recovering from jetlag. Thank-you everyone who generously donated Frequent Flyer Points and Air Miles to get her here. "The truly wonderful sunshine is the Hawks win. It is a beautiful metaphor not lost on anyone. The underdog winning despite all odds. It surely was a sign that Graham is going to pull through victoriously." Graham is feeling much more like himself today, which is a great sign. He is asking for books and magazines, reading The Guardian online, watching movies and listening to music for the first time since the transplant. And this is all in the last 24 hours. This was one of the most worrying thing for me after the transplant; seeing him lose interest in the activities that mattered to him. Today also marks the half-way point in his 100 days post transplant. Everything else is looking good and if we can just get him over this last hurdle, I know we can all return to Australia together in November. The other exciting news is that I have managed to get access to view the AFL Final tomorrow through the Setanta Sports' Channel and am going to set up the webcam so Graham can watch it in his hospital bed! We are very excited and wish the Hawks all the best. We will be cheering madly for you to win! 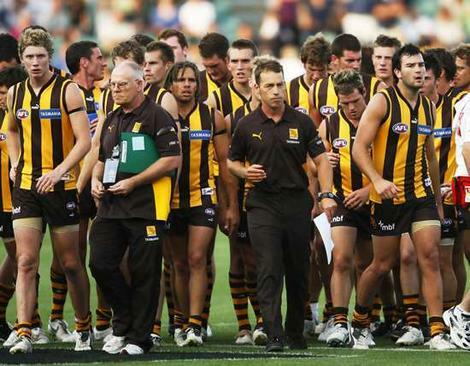 For those readers not from Australia, Alastair Clarkson, pictured above with the players is the Hawthorn Coach and stood up for us as soon as he found out how much money we needed to raise to get here for Graham's treatment. I don't want to get too soppy but he really is a fantastic person and without his support, we would not be here. He has also turned around the Hawks'performance in a short amount of time and it would be a wonderful thing if they can upset the Cats tomorrow. Graham's diarrhea slightly worsened today but the Docs think the volume will go up and down until it fully settles down. The important thing is that the timing is spaced out from about every 10 minutes or so to an hour or more. He gets another dose of Mesenchymal Stem Cells tomorrow and some more Infliximab on Friday so we think he will continue to improve. I thought I would include some before and after pics to show what a toll this whole procedure has taken on Graham. The first picture is taken on July 6th, Day 0 and the second one is taken on the Day +46, 21st September (which was my birthday). He couldn't even manage a smile for me and I think that says it all. He just feels so worn out by the whole thing but we are confident he is on the mend again and that he will be out of hospital soon. Thanks for your support and for the offers of air miles. We really appreciate it. Mum is arriving n Monday as we had enough for the one-way leg and will soon have enough to book the return leg. Graham is a bit better today. His 24 hour diarrhea volume (yes, they measure it) has reduced from 2,200 mls to 970mls. They don't know what did the trick but I think it is the combination of the Infliximab, the Mesenchymal Stem Cells and the heartfelt messages of support that we have received from so many people all around the world. He had a full body CT and MRI today so it will be great to see that the bowel wall inflammation has reduced (the scan on Friday showed that the lining of his gut from his stomach to his bottom from inflamed) when we get the report tomorrow. I have also received messages from people wanting to donate their Air Miles to get my Mum over and we think it is going to be possible to get her here next week by using Qantas Frequent Flyer Points to San Francisco and United Air Miles to Seattle. We need another 34,000 Qantas FF's for a return flight to SFO and another 3,000 United AM's for the SFO - SEA return leg. If you want to donate Qantas FF's, you can do so by logging into your account and donating a minimum of 5,000 (their rules) to my account and similarly, you can do the same with United. With Qantas, you will have to specify that I am a family member and a Qantas employee with whom I spoke this afternoon said that you could put me down as a Sister-in-Law would as they never check! Please get in touch for my account details. I will update tomorrow and hopefully I will have some good news. We are marking off the days till we come home on a big wall calender and Jack said "only 52 days to go" to me today! Graham had an infusion of Mesenchyaml Stem Cells (MSC's) today as part of a Phase III Clinical Trial for Steroid Refractory Acute Graft vs. Host Disease. It is a Double Blind Study which means neither the patient nor the Doctors know whether the MSC's or a Placebo are given. We were a bit concerned about this as the MSC's have shown very good results and we really didn't want the placebo! Well, it turns out that the MSC's have a very distinctive smell and Graham's room was stunk out during the infusion! So much for the Double Blind Study - LOL! He is much the same today but we have a very positive feeling that he will beat this thing. All the wonderful messages of support that have flooded in today have been very much appreciated and have given us both a boost. I do have another favour to ask. If anyone has any United Airline Air Miles that they would like to donate to me so I can get my Mum back to Seattle to help out with the kids while Graham remains so unwell, I would be very grateful. Please drop me an email if you can help. A friend of ours here in Seattle (and Australian by marriage), Chris Tarling, has offered me 12,000 and we need 80,000 for a return flight. Graham is no better today and in fact the diarrhea is worse. 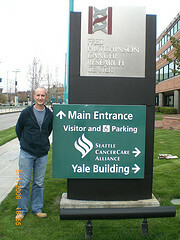 We are very grateful that we are here in Seattle as they have many more options available to us because of their research centre. If the Refractory Acute GVHD can't be controlled, it will be fatal. He no longer has any sign of Leukaemia but unbelievably he has another battle to fight. It is very unexpected that he would get Grade IV (the worst) GVHD let alone be resistant to the steroids. We are hopeful that this new treatment will help him turn the corner but we may not know for another couple of weeks. He is not up to responding to your messages but he is checking his email so if you want to send him an email, I know he would be very grateful. Graham had his Infliximab last night and so far there has been no change in his condition. Thanks to Ruth and Lisa for helping out with the kids and providing moral support. Graham's nausea and vomitting has stopped but he has developed very bad diarrhea which is worsened today. He is now considered to have Refractory Acute Graft Vs Host Disease of the Gut, ie; the GVHD is not responding to the steroids. This is a very bad position to be in so they are starting him on a clinical trial as there is no standard form of treatment for this condition. Although he now has no leukaemia present, this is a very serious situation and if he is going to respond, we should see some improvement in the next 36 hours. Please keep him in your thoughts and I will update tomorrow. Unfortunately, since leaving the hospital, Graham's nausea and vomiting persisted and he also developed a skin rash. It looked like he was suffering from Graft vs. Host Disease (GVHD), which is when the new stem cells attack fast growing cells in his body such as the skin and gut. This is not unexpected and a degree of GVHD is actually wanted as it also means that there is some Graft vs. Leukaemia (GVL) going on which can eliminate any undetectable leukaemia cells that may contribute to a relapse further down the track. 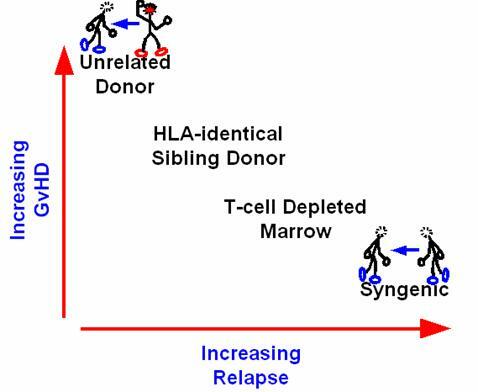 As you can see from the diagram to the right, any unrelated transplants (such as Graham's Cord Blood Transplant) have a higher risk of GVHD but a reduced risk of relapse so the Doctors have a fine line to walk when treating the disease as they want to eliminate the GVHD and allow a degree of GVL. They did a Skin Biopsy and a Gastroscopy with Biopsy last week and the GVHD has been confirmed. He was re-admitted to the hospital on Friday to start back on the IV Nutrition as he has lost a lot of weight and has been unable to eat and they started Steroid Treatment for the GVHD yesterday and he should be feeling better soon. Once the GVHD is under control, they will taper off the steroids and watch for any flare ups. It is disappointing to have this setback and the whole process is much more difficult than either of us had imagined but he is heading in the right direction and we are focused on getting home in November. Graham had his Day +28 Bone Marrow Biopsy on Wednesday and we got the results today. 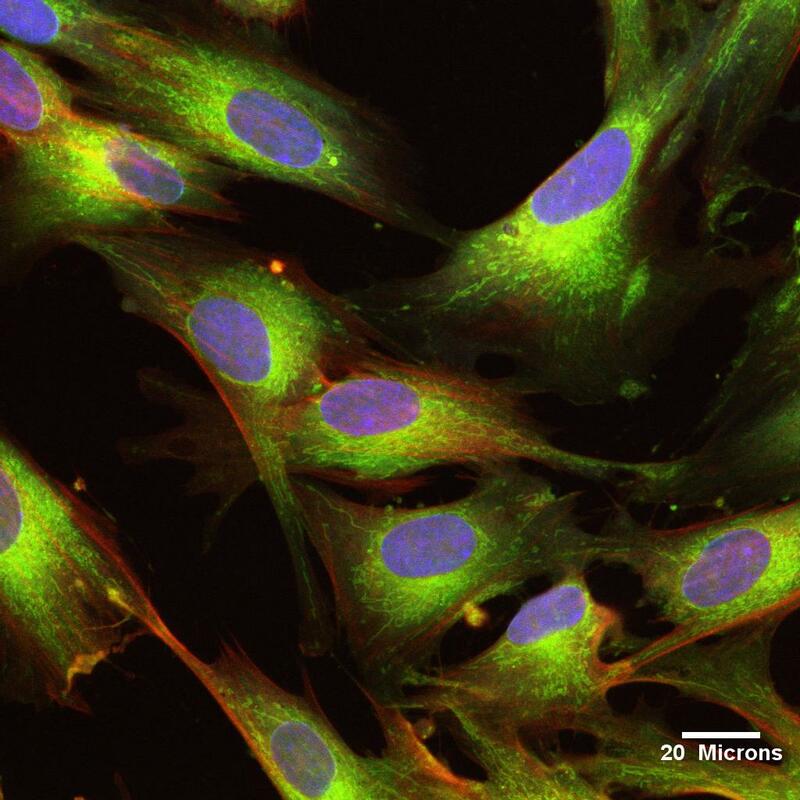 The bone marrow cells are all normal and 100% from the unexpanded cord blood stem cells (which were from Australia!). This means there is no sign of his immune system or the leukaemia. The new cells are working hard and producing Red Blood Cells (RBC), Platelets and White Blood Cells. It was also the first day that his RBC and Platelets have increased without infusions so all is looking good. He is still suffering a bit with nausea and fatigue but they are switching one of his anti-viral drugs for another today as it has been wasting his minerals but he couldn't use the new one till his white count had recovered. So hopefully once his magnesium, phosphate and potassium levels are all normal again, he won't feel so tired. He is also coming off a drug used to combat Graft vs Host Disease (when the new immune system attacks rapidly dividing parts of his body such as his skin and gut lining) as he only has a minor rash and this drug may be causing his nausea. The pictures to the right are of Zozobra and were sent to me today by our friends Penny, Daniel, Fiona and Ciara in Santa Fe. Penny says "Last night we kicked off the Santa Fe Fiesta with the burning of Zozobra. 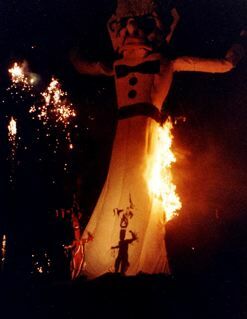 In the 1920's an artist started this tradition of burning Zozobra, or Old Man Gloom, who is burned in effigy to symbolically dispel the hardships and troubles of the past year. 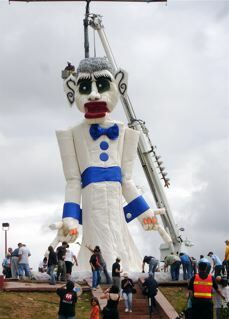 Zozobra is a 60+ foot high marionette (largest in the world). Daniel has been involved in building Zozobra since he was small and now we take the girls along to stuff him with shredded paper and to paint him. On the night fire dancers taunt him while he throws his arms around and growls until finally the fire dancer "wins" and sets him alight. For years it has been a tradition to put "gloom notes" into the stuffing of Zozobra, when burned, the hardship/sorrow that is in the gloom note is gone. So, this year we put a gloom note in about Graham’s long tough fight, to send wishes that this will be over soon and you can all return home together as a family and to send our love and very best wishes to all of you." What a wonderful sentiment. Thanks guys. Graham was discharged from the hospital this evening. The kids arrived on Wednesday with my Mum and they were sooo excited to have Dad home tonight. Mum said that every time they heard the elevator start up outside the apartment door, they kept saying "It's them, it's them!" And eventually it was us (after we collected the cache of drugs from the Pharmacy that he needs to take each day) and Dad was swamped in hugs and kisses. Graham is still feeling nauseous and tired but is much improved and most importantly he is officially engrafted with an Absolute Neutrophil Count of 3,200! He reached the 500 milestone a few days ago and is now well within normal limits. So the worst is over and now he just has to regain his strength while being very careful for the next 12 months. He has lost all the immunity he gathered over his lifetime and as a result is very susceptible to bugs that would have not been a problem in his pre-transplant life. He can't be anywhere there is a crowd of people he doesn't know as they may be carrying germs that could at best really set back his recovery if he was to come in contact with them. In 12 months' time he will then get all his childhood immunisation shots again. He can't get them before then as his fledgling immune system couldn't cope with the live vaccines until it has this amount of time to establish itself. Jack has requested pancakes for breakfast tomorrow morning as a celebration! I told him that was a wonderful idea. Graham's Neutrophils have been bouncing up and down since they increased to 60 a week ago. They were at 80 yesterday and thankfully today they have tripled to 240. We are hoping this is the sign that they will now really take off. He is still really fatigued and nauseous and what I would describe as suffering from "shell-shock". 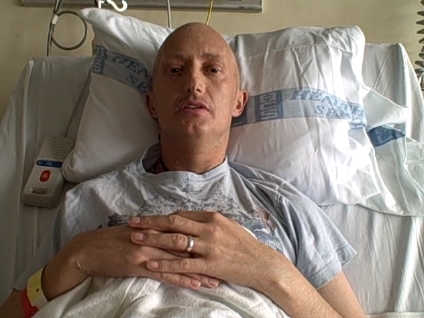 I figure that he has been through so much what with arriving and expecting to have the transplant, to finding out he had relapsed, to the chemo not working, given 2 months to live and then finding out that the chemo had actually worked and getting the transplant; he just needs some time to process everything. All is well and hopefully he will be out of hospital before my Mum and the kids arrive on Wednesday. Well those Neutrolphils have kicked in with a grand total of 60 today! Graham needs 500 to be considered officially engrafted, so he is on his way. The nausea is subsiding somewhat but he still can't eat anything and even me suggesting different types of food made him feel sick. Not much else to report but just wanted to let you know the stem cells are doing their job and his neutrophils should should continue to rise this week. In the meantime have a look at what the wonderful scientists at the SVI have discovered! Unfortunately, that rise in the WBC on Day +6 didn't persist and Graham is still waiting for his neutrophils to come in. I have just posted over on his blog (as he is unable to do so) so I won't repeat myself here. Click here to have a look. Firstly to Louise Purton, Carl Walkley and all the staff at The St Vincent's Institute in Melbourne. The SVI is an independent medical research institute which conducts laboratory research into the cause, prevention and treatment of high-impact diseases such as cancer, diabetes, obesity, bone diseases, Alzheimer’s, cardiovascular disease and infectious diseases. 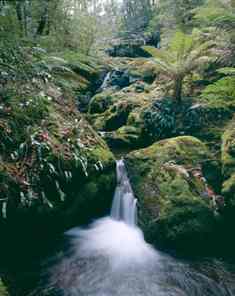 SVI is affiliated with St. Vincent’s Hospital and the University of Melbourne. Louise used to work at The Fred Hutchison Centre here in Seattle and is good friends with Carrie Stein who worked on expanding Graham's cord blood cells (and gave Jack and I her basketball tickets!). Louise got in touch to say the SVI staff were having a morning tea for Graham and that she and Carl would like to donate their Air Miles with United Airlines to us. The morning tea raised $328.00 and Louise has booked my Mum and the kids to come over and see us at the end of the month. Every turn on this journey brings us in contact with the most amazing and generous souls. 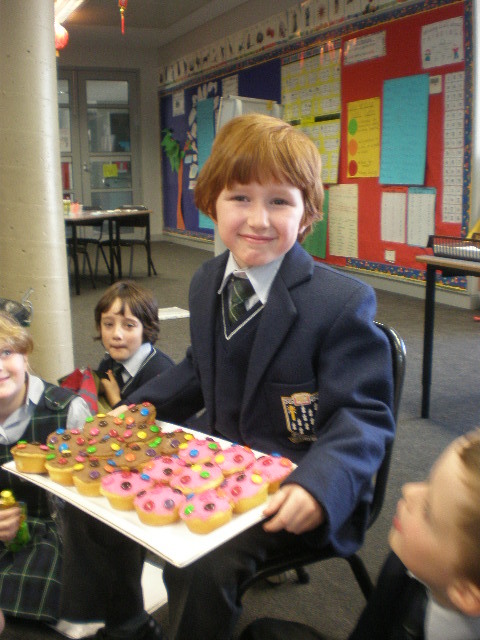 The second thank-you goes to Janine Mitchell who not only has taken our Jack in as her 2nd son while we have been here in Seattle but she has been baking yo-yo's every week since we left and selling them at St Leonard's and Mentone Girls' Grammar. She has been forced into an early retirement due to shoulder surgery but has emailed to say that the Middle and Upper school staff at St Leonard's and Junior school staff at Mentone Girls Grammar raised $721.00 for our fund. Thanks again Janine and of course to everyone who dug deep to enjoy the sweet treats. Graham is feeling better today and they have identified the cause of the 41 degree temperature. Another nasty gram negative bacteria. He is on the right antibiotics for this and hasn't had a temperature since which is good news. He continues to feel nauseous and is still unable to eat. He is also very tired and is spending a lot of time sleeping. His hair started to come out in big clumps today so we had one of the nurses shave it all off. They also managed to unhook him from his life-sustaining pole for an hour today so he could have a shower, shave and get new sheets. I left him sleeping to go to the supermarket this afternoon and on the way there I got a phonecall from Dr Delaney saying that there were 150 White Blood Cells in a sample taken a couple of hours before to check his platelets after an infusion. They have been at zero for the last 4 days. This is very good news and another sample will be taken at midnight tonight and we will have a differential (ie; types of White Blood Cells present) tomorrow so hopefully we will see some neutrophils. Once the neutrophils kick in, they will begin to repair his gut and he will start to feel better very quickly. Where have all my curls gone? Graham had a bad day today. He is really suffering with nausea and vomitting. He can't seem to move at all without being sick. He isn't able to eat anything either so he is now hooked up to IV Nutrition until he can eat again. He also had a very high temperature this afternoon (41 degrees) with rigors . It was very distressing for him but they gave him some pethidine which stopped the rigors almost straight away. The temp persisted so they have put him on a number of antibiotics to cover him for all types of bacteria that may be present in his blood until they get the cultures back from his blood and then they can taper some of them off. The pethidine did confuse him somewhat and he was telling me about how busy it had been at the Xmas party! Not sure what year! I am hoping his neutrophils will start to come in soon so that this may be as bad as it gets for him. All is well today and apart from some nausea and fatigue, Graham is suffering no ill-effects of his transplant yesterday. I am also very pleased to be able to annouce that the Charity Auction Dinner held on Sat 26th July was a huge success thanks to the wonderful efforts of St Leonard's College and the organising comittee. The total amount raised came to a massive $116,090.00!!! By all accounts it was a fantastic evening and I have received many emails from people saying that there was a very strong sense of community present on the night. We are so very grateful and it truly was a team effort. Thank-you to everyone who attended the evening, those who donated items for the auction and of course those very generous people who sucessfully bid on the night! 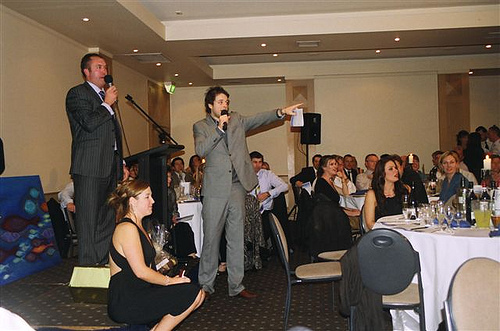 Click on the pic of James Bateman and Hamish Blake doing their stuff for more of the glamourous crowd. Thank-you everyone for such a fantastic effort. Well, a big day today! 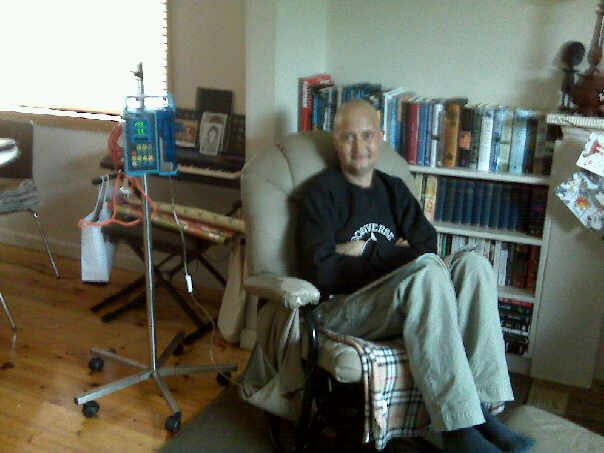 Graham had the unmanipulated stem cells at 10:39am this morning and they were infused over 20 minutes. Then 4 hours later, the wonderful and very clever Dr Colleen Delaney hand delivered the expanded stem cells straight from the lab and they were infused at 3:25pm again over 20 minutes. Graham was given benadryl and ativan as pre-meds prior to the first infusion to combat any reaction (notably nausea) to the preserving agent used on the cells, so he was quite drowsy but was a bit perkier for the second infusion. Please click on the links to the right to witness this momentous occasion! Thank-you to everyone involved in getting Graham to transplant. And to Anna for the balloons today! 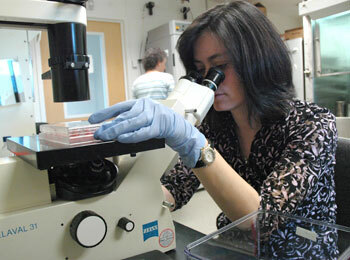 We wait now for the baby stem cells to migrate to the marrow and start producing blood cells. Most importantly, when his Neutrophil count reaches 500 for three consecutive days, Graham will have officially engrafted and can be discharged from the hospital. The subsequent 3 months is critical to the long-term success of the graft and I will continue to update along our journey. Anna, who has the same AML as Graham (t(6;9) + FLT3) and has kindly been looking out for us with gift packs and delivering Indian food to us at the hospital is pictured right with Graham earlier in the year. She has just emailed me to say she sent out a request to all her friends and family here in the USA in support of our fundraising. Thanks Anna, we really appreciate your concern for us. Well it's almost Day 0 and Graham's new birthday! Thank-you to everyone for your love and support over these very difficult 3 months. We finally made it!! Sleeping, sleeping, sleeping was all Graham could manage yesterday but is feeling much better today. It's his 2nd last day of the total body irradiation and transplant day is coming around very quickly. His red blood cells dropped to a level where he needed his first transfusion today. Graham has had his 3rd dose of radiotherapy this morning and as soon as he got back to his room, he started vomitting again. It really is powerful stuff. His white blood counts are dropping rapidly now, though his red blood cells and platelets are holding which means he doesn't need any transfusions yet. 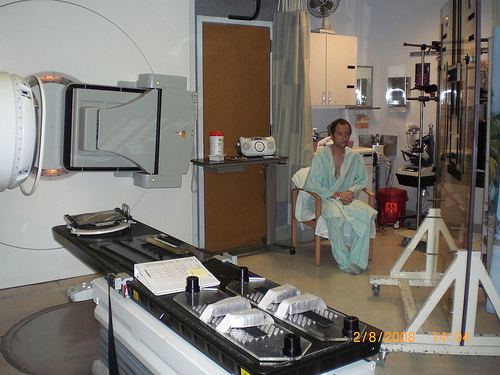 The picture to the right is Graham waiting for his afternoon dose of radiation yesterday and he was keeping the mood Australian....The sound track he chose while he was sitting on his bicycle seat being irradiated for 40 minutes was "The Church". Click on the image for more pics. Graham had his first dose of radiotherapy today. The Nurses had him up at 6am for fluids and anti-nausea drugs in time for the radiotherapy at 8am. So he's feeling quite exhausted at the moment and is having a sleep. He has another dose of radiotherapy scheduled for 2 p.m. and then the same again to the next three days. Yesterday, some volunteers at the hospital came and gave Graham a hand-knitted rug, which you can see on his bed. it certainly brightens up the room and I thought it was a lovely gesture. Graham is losing his appetite more and more each day as a result of the chemotherapy and radiotherapy and I expect he will be absolutely exhausted by the time he receives his stem cells on Wednesday. Dr Delaney e-mailed me on Friday to say that the stem cells are growing nicely in the lab, so it will be exciting to learn how many cells he has infusion next week. Graham has been sufferig a bit today with nausea and vomitting from the Cytoxan but they have added some extra anti-nausea drugs which seem to be working well. Graham is very excited that today may be his last ever day of chemotherapy! A quick thanks to everyone on the Blue Team at the SCCA for their dedication and care in getting Graham into remission. Dr's Claudia Astigarraga & Hans-Peter Kiem are pictured right with Graham just before he started conditioning this week. A quick thank-you to Marc and Harry Simpson for shaving their heads to raise money for Graham. They raised an amazing $800 US. 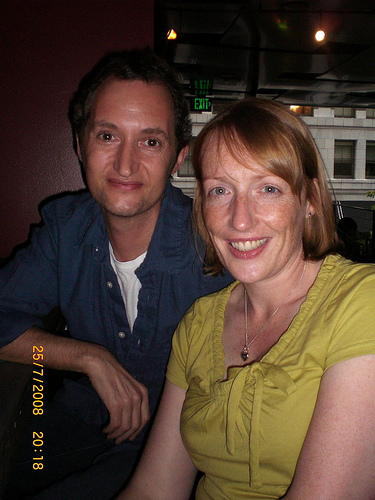 The lovely Tracey (pictured right with her big Bro on a night out in Seattle) kindly hand delivered the cash last Thursday. It is now very quiet here with Graham in hospital for his conditioning and Tracey back in the UK. Graham received Fludarabine yesterday and Fludarabine & Cytoxan today. Day 0 and his re-birthday! He is feeling well and I will update tomorrow. 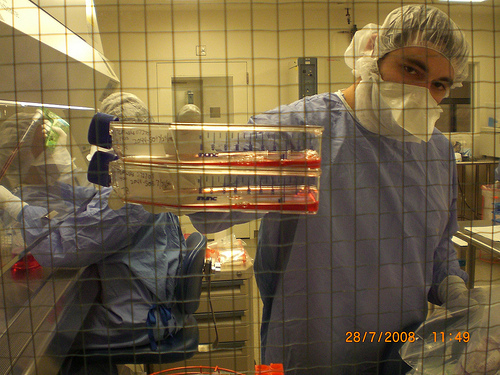 Today we went to the labs with Dr Delaney to see where the New York Umbilical Cord Blood Stem Cells are being expanded. Click to the right for more pictures. The cells began their expansion on Monday 21st July and they are growing well. Graham starts his conditioning tomorrow (chemotherapy and radiotherapy) and I will let you know how he gets on in the next few days. Our beautiful friends Laury, Michele, Megan, Gail and Tracy had a fundraising soup kitchen last week at Todd and Laury's home in Wollongong and in conjunction with a jewellery stand run by the kids, they raised $1,000! Thanks so much guys. We love you !!! Well, he did it!! There is no sign of the Leukaemia by flow or morphology and Graham is in complete remission. The pnuemonia is under control and it is full steam ahead. The cords were ordered straight away. One is from New York and one is from Australia. The New York cord arrived today and the Australian one will arrive on Saturday. The NY cord is the one that is going to be expanded and Dr Delaney and her team are coming into the lab on Sunday to get eveything ready for it to be thawed, the stem cells extracted and then expanded. Graham has been having his workup tests and he will be admitted to the hospital on the 30th July to start his conditioning and have the transplant on the 6th August. 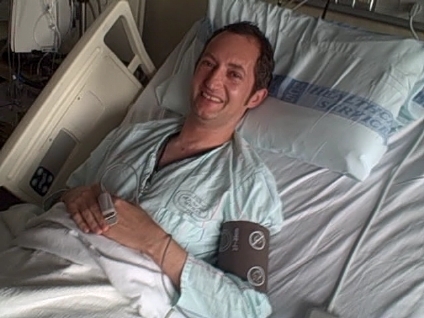 We are ecstatic that Graham is now in the best possible position for the transplant. Thank-you all for your continuing support throughout this roller-coaster ride!! Dr Colleen Delaney, the brains behind the expansion trial. Long time no post again... I am sorry but things seem to change so quickly here, we don't know if we are up or down. I will try and sum up what has been happening over the last few weeks. Graham's fungal pneumonia is responding to treatment and is stable at the moment. They will do another CT in a week or so to check on it but his cough has gone and he doesn't feel like his chest is so heavy any more which is positive. On the weekend we had to go into the hospital on Saturday and Sunday nights as he had a temperature and the blood cultures revealed that he had a very dangerous and highly resistant gram negative bacterial infection. It was very lucky that his neutrophil counts had recovered enough to fight off the infection (see picture on the right) as it can be fatal in immunosupressed patients. He is now on an IV antibiotic that the bacteria is senistive to and it seems under control. He had another Bone Marrow Biopsy on Monday and and we received the results today. It shows there has been "a marked improvement in the overall degree of myelopoiesis. However there still appears to be an increase of monocytic forms, which vary in distribution ranging from 5-10% in different fields." This means that the normal bone marrow is recovering well and looks much healthier but there is a persistence of the leukaemia. The pathologist who read the slides said that this was an improvement on the last biopsy and the overall value is just above 5%. This is still too high for Graham to be eligble for the expansion trial so he is going to have another biopsy next Monday to see if the disease has reduced even further making him eligble. We are so grateful for this second chance at getting to transplant. Just a few weeks ago we were at 25% and preparing for the worst. Graham's doctors today said that it is very unusual to have such a late response to chemotherapy but they don't mind unusual if it is good! 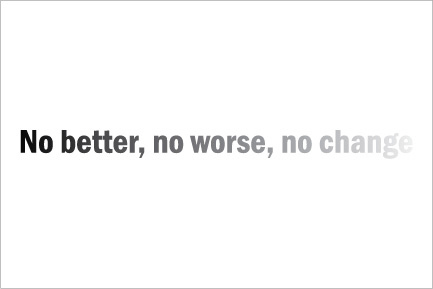 We don't mind either. As long as we can get to transplant and beat this disease once and for all, we are happy to take the scenic route. Although of course, the scenic route does cost a bit more! Jack has returned to Melbourne and is having a great time staying with his friend Mitchell. My Mum is heading back to Melbourne on the weekend with Poppy in preparation for the beginning of Term 3. I think she is well and truly over having to look after a 3 year old, particularly when said 3 year old decides to start the car and drive it down the driveway and into the rose arbor!!! 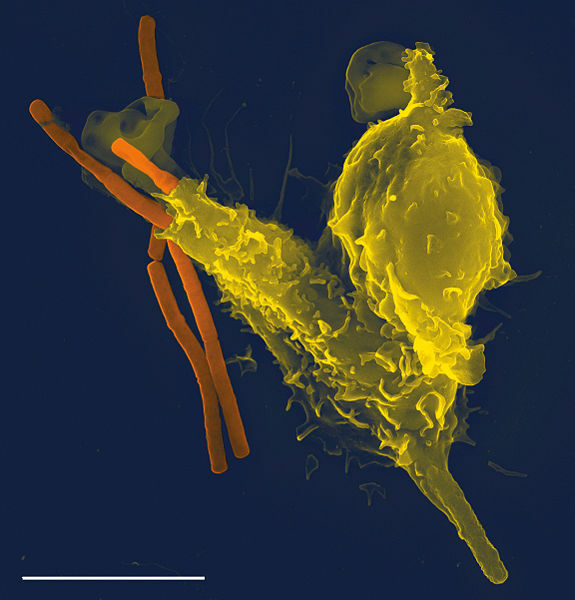 Scanning Electron Microscopic View of a Neutrophil engulfing Anthrax Bacteria. I haven't updated about Graham's Bone Marrow Results since Jack arrived as it has been a bit of a bumpy ride to say the least. The chemotherapy clinical trial (Clofarobine & AraC) that Graham was on required him to have a Bone Marrow Biopsy on day 14 which is very early and not usually done. We expected his marrow to be completely empty of both normal cells and leukaemic blast cells but it showed 9% blasts on Flow Cytometry and 17% blasts on Morphology. This was disappointing but another biopsy was scheduled for day 21 and it was hoped that it may give a better picture. The day 21 biopsy was taken last Friday and the inital result (Flow Cytometry) was a promising 7%. The morphology results came back on Sunday at 25% which is a huge discrepancy. 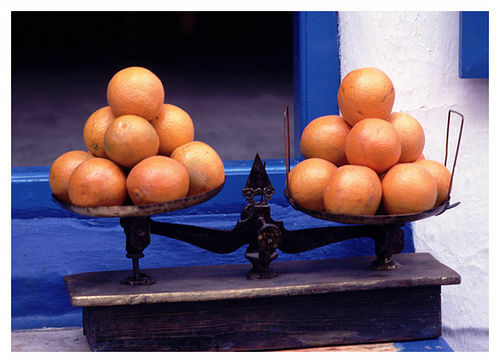 Usually the flow cytometry is the more accurate test and morphology is either the same or lower than flow. The lab Doctors went back to look at both results and agreed that the correct reading was 25%. As you can imagine, we were very disappointed. Even though they felt sure this was the correct result, they scheduled another biopsy for this Wednesday to make sure. We met with our Doctors straight after the biopsy as they had presented Graham's case to the whole faculty that morning and they wanted to tell us what the feeling was about what to do next. 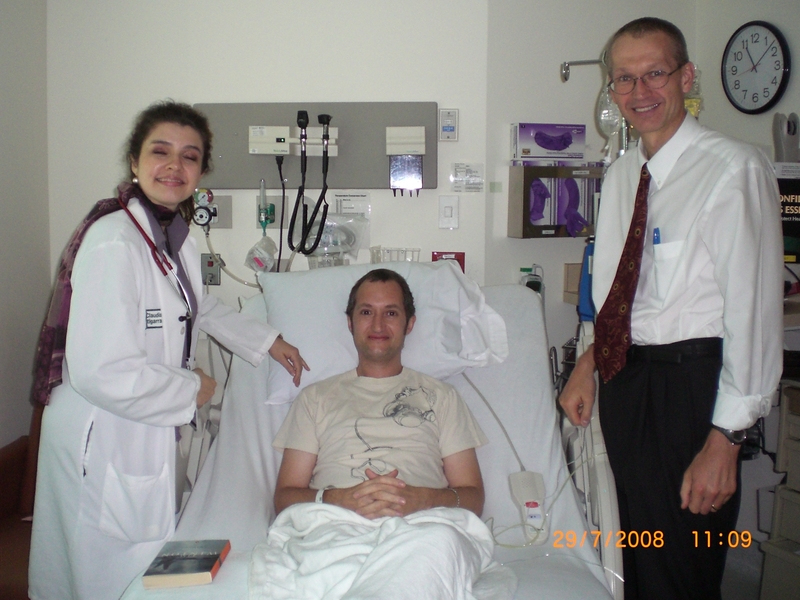 The consensus was that Graham wasn't a suitable candidiate for a transplant because he still has fungal pneumonia and that the tumour burden was so high that he would almost certainly relapse. They offered him more chemotherapy but weren't hopeful. You can imagine how we felt. It was a very upsetting day today. However, around lunch-time, I got a call saying that Graham's Doctor wanted to meet with us at at 4:30pm. Expecting the worst (ie; that the BMB from yesterday showed increased blasts), we went along. Well, Dr Riddell comes in and says the flow cytometry from yesterday's biopsy shows 3% blasts and the morphology shows btw 6.5 - 10% blasts. So the clofarobine must be having a late effect. We were completely shellshocked. Anyway, as a result things look much more promising. Graham is going to have a CT scan tomorrow to see if the pneumonia is under control. If it is at least stable, then they want him to have another round of chemo with VP-16 to try and get him into a true remission and to give him more time to get over the pneumonia before the SCT. 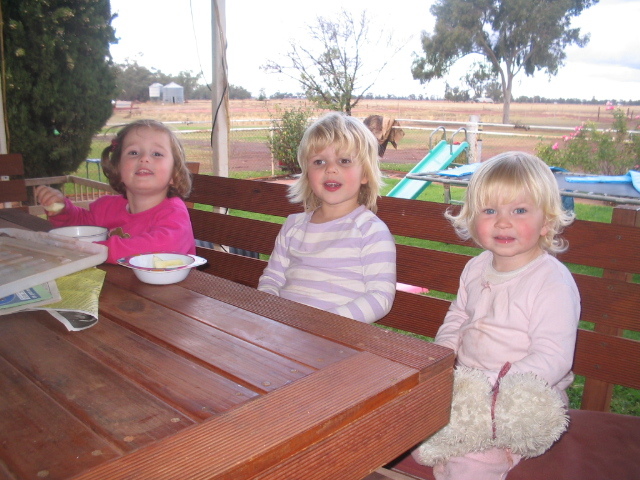 Click on the photo on the right to see what Poppy has been getting up to with her cousins while staying at Nanny's farm at Lake Cargelligo. We are really missing her but she is having a great time with Samuel, Alice and Joanna, although I think she may be leading them astray somewhat! "Hi Samantha, I recently saw the billboard for “a donor for Grahram” while stuck in traffic at the intersection of Station St and Canterbury Rd, unfortunately its now been replaced with a lovely “crisp, refreshing, white wine” Lindemanns Early Harvest none the less!! However, I found myself Googling you all, a week later and devastated by your plight, and your heartbreaking trek to the US, with kids here in Melbourne. So I’m now going to run a fundraiser event, I’m thinking like a Biggest Morning tea or Girls Night In or something. Once its all done, I’ll let you know how it went and do the direct debit. Good Luck with Clorarabine. Wishing Graham all the very best." 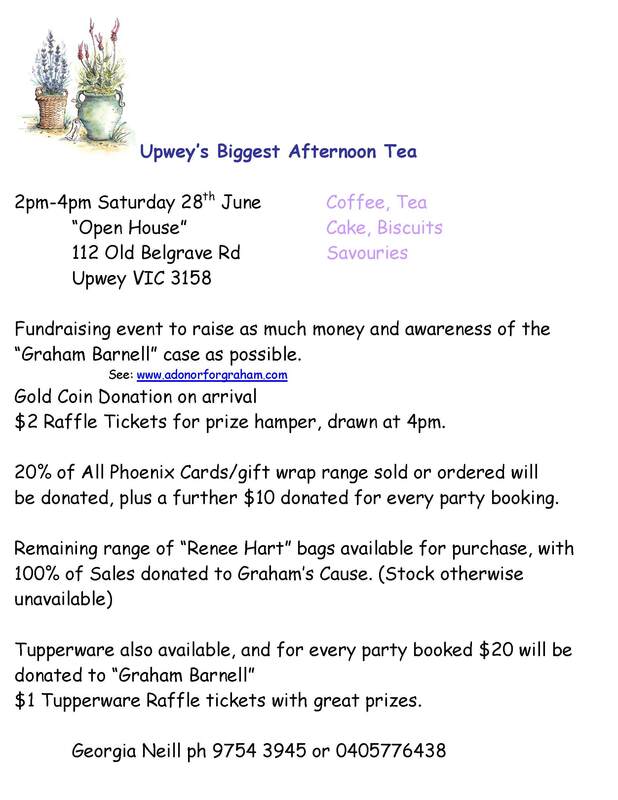 Well, she is a woman of her word and she has organised "Upwey's Biggest Afternoon Tea" on Saturday 28th June. Click on the image on the right for more info. Graham has finished his chemotherapy and he has been in and out of hospital with infections that they are controlling with IV antibiotics. We should have some results this week about whether the treatment has put him into remission, so it is an agonising wait. The most exciting thing this week was the arrival of our Jack! Thanks to Barbara, Mark, Hana & Maya for escorting him to LAX. 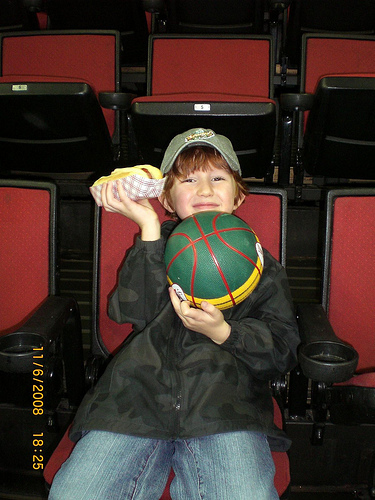 We have been having such a great time with him, including going to a Seattle Storm Game (thanks to Carrie Stein at The Hutch) where we met Lauren Jackson after the game and she signed Jack's Basketball! Click on the photo to the right to see some more pics. Graham had his bone marrow biopsy yesterday to see if the chemotherapy had put him into remission. We got the results today and unfortunately instead of the number of blasts decreasing, they have increased from 4% to 15%. This means his disease is refractory to the chemotherapy drugs used. This was extremely disappointing news to say the least. Graham now is going to have a new chemotherapy drug (clofarabine) to try and get him into remission. The drug is being used in a clinical trial to treat adults with AML and it has shown very promising results. The Moorabbin Leader has done another story on Graham. Chris & Mike Tarling invited us to their wonderful house for a late Memorial Day BBQ on Tuesday afternoon. Chris met Mike in Temora, NSW while on a 12 month teacher exchange from Seattle. Can you belive this view? Click on the photo to the right for some more pics. Thanks for a lovely afternoon..it was such a great break. Chris and I even went kyaking on the lake - heaven! 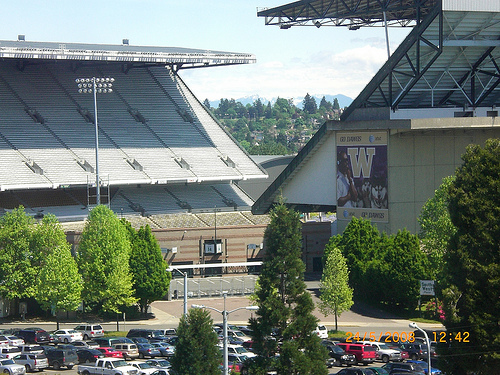 Graham was admitted to the University Washington Medical Centre (dubbed the "Husky Hilton" because of it's proximity to the Husky Stadium) on Friday as he had a temperature of 39 degrees which indicated he had an infection somewhere. This is a dangerous situation for anyone without an immune system to be in. They cultured some blood and found the bug that was causing the trouble and put him on the appropriate antibiotics. All is now well and his neutrophils are on the rise so we may at last be ready to start planning for the transplant this week. 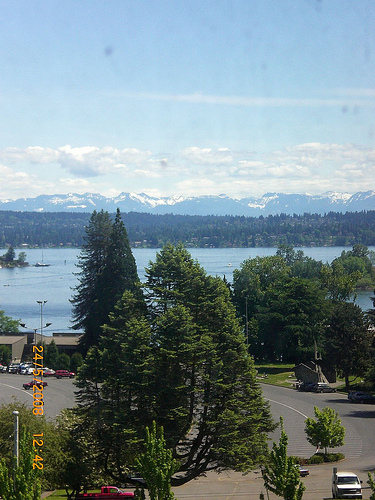 He is being discharged today and we will know more later this week but in the meantime, click on the photos on the right to have a look at the amazing views from his room. Happy 7th Birthday to our beautiful boy! We are so sad we are missing your Birthday this year but we are so proud of how brave you are being while Mummy and Daddy are in America. You have grown into funny, clever, loving and wonderful boy. It just seems like yesterday that Daddy and I brought you home on that hot summer's day in London back in 2001. Thanks to everyone who organised & attended "A Gig for Graham" in Graham's hometown of Bedford in the UK. It turned out to be a wonderful night by all accounts with lots of people meeting up for the first time in years. And thanks to your efforts, we have another $6,600 in the fund! Today we had coffee with Anna who is recovering from a recent transplant. Anna also had t(6;9) with FLT3+ AML, so you are looking at two very "special" people! Anna has a great attitude and it was great to sit and chat today. It was a beautiful weekend here in Seattle. On Saturday we headed over to Alki Beach. 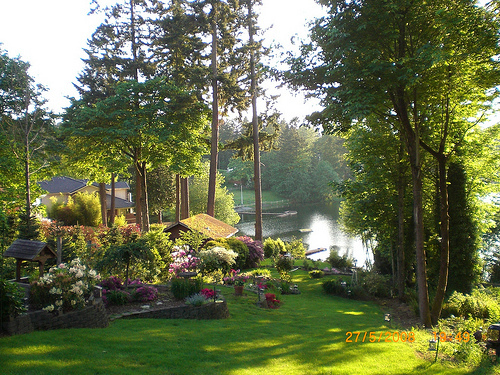 And on Sunday we sat in Ruth and Louis' Mercer Island garden for relaxing BBQ. 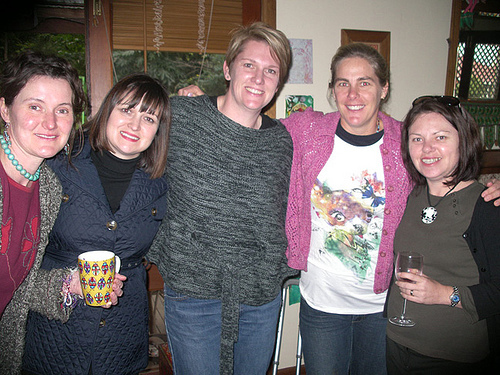 Lynne Horvat, pictured right, was diagnosed with AML at The Alfred on the same day as Graham, Friday 13th April 2007. 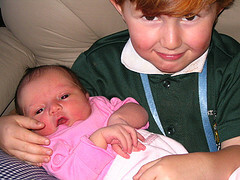 As a result, she and Graham formed a bond and always asked after one another whenever they were on 7 East during 2007. In January this year when Graham was undergoing treatment for his relapse, Lynne was also on 7 East to investigate her dropping blood counts after a transplant in Oct 2007. She emailed Graham after our appearance on ACA and was making decisions about what treatment to have next. After arriving in Seattle, Lynne's daughter Kate emailed us to say that she had developed pneumonia and lost her battle on Friday 2nd May. We are so saddened by Lynne's death and extend our sympathy to all of her family. A big thanks to the Upper School Students of St Leonard's. They had a "Week for Graham" last week which raised over $1,500. Thank-you so much. 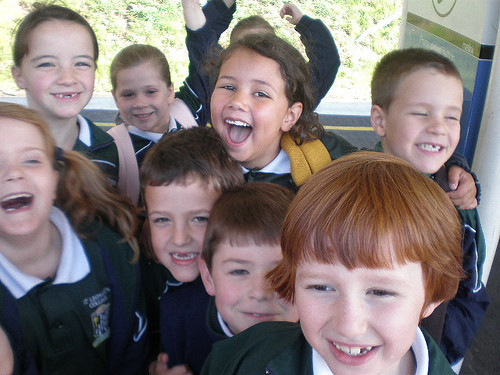 What a wonderful example you all are for the younger students at the school. We are continually humbled by the support by everyone involved with the kids' school. The photos to the right are of the Year 11 Committee Students selling cakes and bikkies during the week. A big thanks must also go to Janine Mitchell for her unending supply of home-made yo-yo's to the fundraising effort! Here is a little video following a typical day in Graham's life at the moment. Most importantly, he has finished the week of chemotherapy and he is now neutropenic which is the aim of the chemo. This means that his white blood cells (specifically his neutrophils) are at zero and now we have to wait for them to recover. While waiting for them to recover, he essentially has no immune system so we have to be very careful about him getting an infection of any sort. Hopefully his marrow should start producing in the next two weeks and then he will have another bone marrow biopsy to make sure there is no or minimal leukaemia and then on to the transplant! 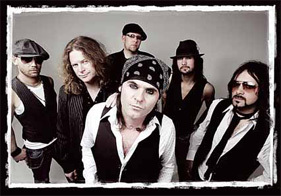 The Quireboys are at it again! 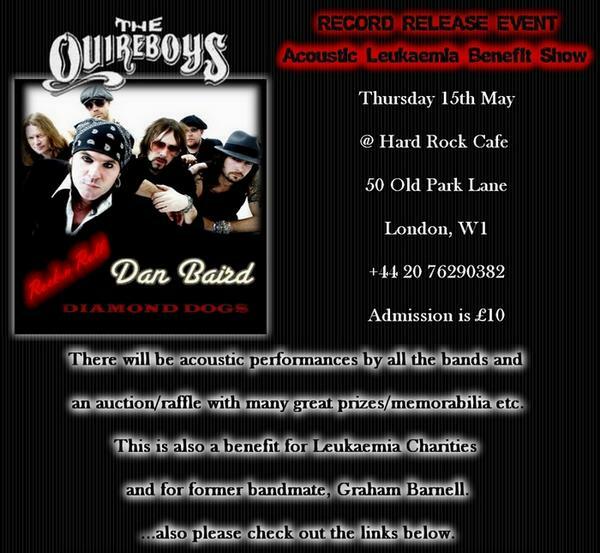 There is a benefit gig at the Hard Rick Cafe in London on Thursday night as part of their new album release. Get along if you find yourself in the Capital. Since sending out the thank-you email yesterday, I have had a lot of emails saying we are in fact the heroes but the reality is that we could never have done this without the amazing support from you all these last weeks. I also received an email from Kerry, the wife of the Crown Prosecuter Alex Clout, who died in a tragic accident while camping at Barrington Tops National Park In NSW a couple of weeks ago. He donated to our fund on the 8th April, just two weeks before his death and Kerry said to me in her email "I want you to know that Alex was a generous and compassionate man and I am glad our small contribution helped." We are indeed grateful for his generosity and we extend our deepest sympathy to Kerry and all her family at this most difficult time. I have just sent out an email to all our wonderful heroes to thank-them for their support and to give an update on our journey here in Seattle. I only have the email addresses of people who donated via PayPal. So for others who donated via a Bank Transfer or by Cheque, please click here to read the message which goes out to everyone who has supported us. Without you, this would not be our reality. My Mum filled in for me at the Mother's Day Breakfast with the kids on Friday at school.. I was so sad I missed it. When I spoke to Jack on Thursday, he asked me if I would be home in time for Mother's Day Breakfast next year!! I assured him that we would be home much sooner than that! "Media Digs deep for Clarko"
Graham has started treatment today and we are recording his journey via video. Watch our first movie on the left and Click here to see his YouTube channel. Keep an eye on this for updates. He received one dose of chemo injected over 10 minutes and then the rest is delivered 24 hours a day for the next 5 days via a pump that is attached to his Hickman Line. This means he can stay out of hospital unless he develops an infection and can just be seen daily as an outpatient to make sure everything is fine. As an interesting aside, Dr Hickman still works at the SCCA inserting the lines that he developed in the 1970's! The guys at Omnigraphics have struck again! The billboard is now at Canterbury Road, Box Hill. Click on the picture on the right for a better view. 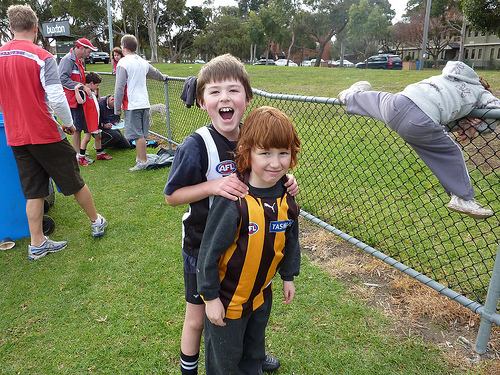 Thanks Caryn, Alastair, Kate, Kerrie and everyone involved with getting the kids to the MCG on Saturday for the Hawthorn vs Collingwood game. Click here to see some photos of the enthusiastic tin-rattling (Jack was very proud that he dinted the top of his tin) and barracking that took place! Another fantastic win to the Hawks! All good but a slight change of plans. As you know they did a biopsy a week ago to see if Graham was still in remision (< 5% blasts) before transplant and the reading came back 1.7%. So on Friday they did another one to see how fast the disease was growing and that biopsy showed 4.2% blasts so the number more than doubled in a week. Graham was technically still eligible for the transplant but we wouldn't have time to wait for the expansion technique as they have to have a week to grow the cells in the lab. So the choice now was start on the standard double cord transplant (no expansion) or have a dose of chemo to knock back the blasts and proceed to the expansion transplant. We have decided to have the chemo this week because there is some evidence to say that if you proceed to transplant with some leukaemia present there is an increased risk of relapse post transplant and we really want to do the expansion protocol as they are having such good results with less side effects. Potentially increases our time here but we want to do the job properly! 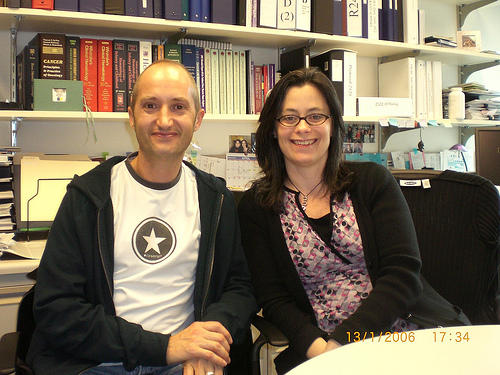 Graham with Dr Colleen Delaney who is responsible for the research and development of the ex-vivo expansion technique. Alastair has organised some tickets for the kids at St Leonard's to go along to the match at the MCG on Saturday against Collingwood. They will be heading there early and rattling some tins at the fans before they head in. The Herald Sun did a story in their Friday Paper about the fundraising efforts. Graham is technically in remission (less than 5% leukaemic cells in the marrow) but there are 1-2% cells showing up so we got here by the skin of our teeth! Treatment can start as planned but they may give him some low dose chemo as an outpatient to keep the nasties at bay while they are getting the cords ready. 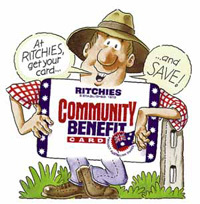 Ritchies' Community Benefit Card Program donates a percentage of the money spent by their customers to their nominated club, school or charity. If you shop at Ritchies, you can now nominate "a donor for graham" as your charity. The Moorabbin Leader ran a story last week about the fantastic effort by the St Leonard's College McMillan House families to raise funds for Graham's treatment. 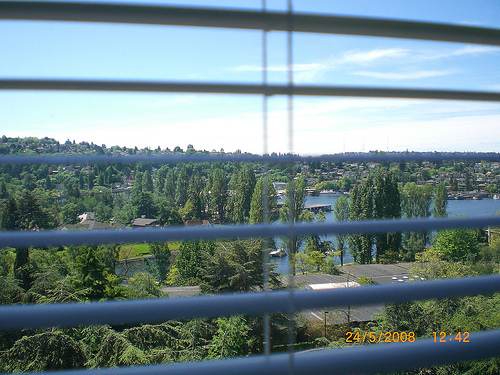 We made it to Seattle on Tuesday and we are so pleased to be here. It was heartwrenching of course to leave the kids but we are so focused on beating this thing and just know we are in the right place for that to happen. Thank-you to everyone for your support. Without you all, we would never have made it here. The fundraising is continuing whilst we are here as we had to borrow some money to put with the amount raised to get the treatment started. Click on the image to the left to watch the story about us leaving for Seattle that aired on A Current Affair on Channel 9 on Tuesday. Thanks to Elise and all the team at ACA for doing a such a great job once again. Last weekend, my brother Damian got hitched to the lovely Jenny. What a beautiful and happy bride she was...and it was a wonderful evening by the beach in Wollongong. I just want to thank Damian for starting off the fundraising campaign a few weeks back because his email was the impetus we all needed to get things going to raise the money needed to start Graham's treatment in Seattle. Thanks to Mark, Ed, Helen, Iain, Jeff, everyone else who was involved with organising the gig and all those who went along last Thursday. We now have another $US2,000 in the fund! By all accounts it was a great night and we would have loved to be there with you. ITV in the UK did a feature on Graham in their Anglia News. Here is the clip. 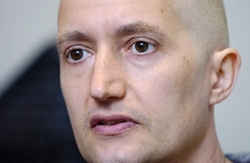 "Race to treat rare form of leukaemia. 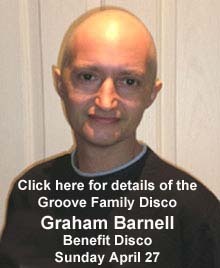 Graham Barnell from Bedford is in Australia, but needs treatment in America"
Groove Family Disco is holding a benefit disco for Graham on Sunday 27th April. The disco will be held at The Glasshouse, 51 Gipps Street, Collingwood from 1.30 - 4.00pm. Thanks to Charmaine for organising this for us. Click on the image to the right for a pdf flyer about the disco. Get along if you can, it is great fun. Graham took Poppy a couple of weekends ago and she grooved the afternoon away! 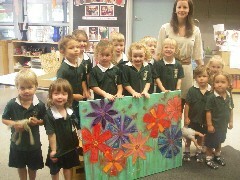 The McMillan House Disco, Art Auction and Year 1 Art Raffle was a HUGE success raising $22,100! Thank-you to everyone involved. We are overwhelmed at this result. 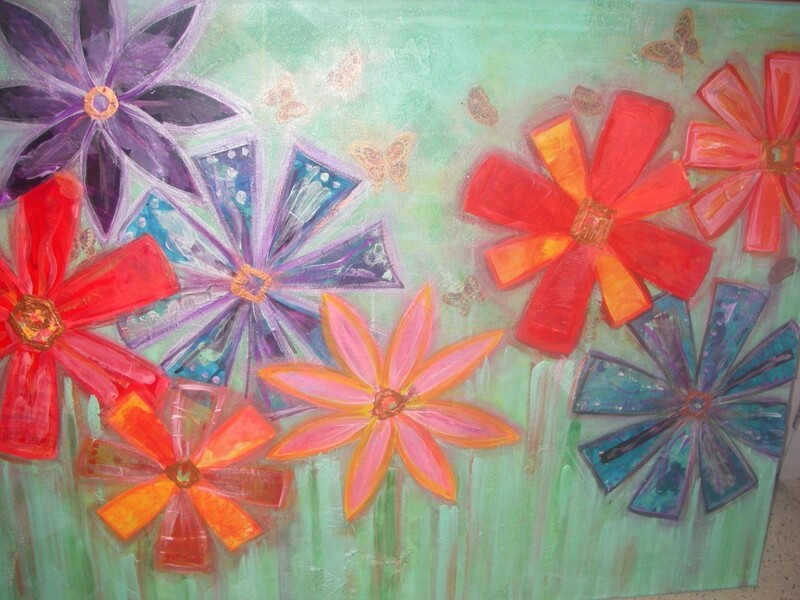 CLICK HERE to have a look at the fabulous artwork, the artists and the winners. Shane Crawford took a lie detector test on The Footy Show last week to raise money for our fund. With good humor, he and The Footy Show have added $6,500 to the kitty. Thanks very much guys! Here is the flyer for McMillan House Blue and Green Disco, which is being held tomorrow night with proceeds being donated to our fund. We are so grateful of the support that the St Leonard's Community has shown us in our bid to get Graham to Seattle. We were on the Channel 9 News in Victoria tonight. Click on the image to the left to watch the report and thanks so much to Carolyne & the News Team for another great story to help us get Graham to Seattle. Click on the image to the left to watch the story that aired tonight on A Current Affair on Channel 9. Thanks to Elise and all the team at ACA for doing a such a great job. Click here to have a look at the billboard that went up this week in Preston in Melbourne thanks to all the guys at Omnigraphics. Here is the PDF of the Poster for a closer look. 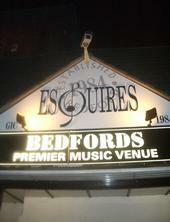 Click here for a story in the Beds on Sunday about the Quireboys' acoustic benefit gig for Graham in Bedford on April the 20th. More info can be found at The Esquires website and here is the poster for the event showing a very young Graham! We have been in the news again, this time in the Moorabbin Leader. Graham was in a band in the 1980's called Feline Groove with Guy Griffin of The Quireboys. 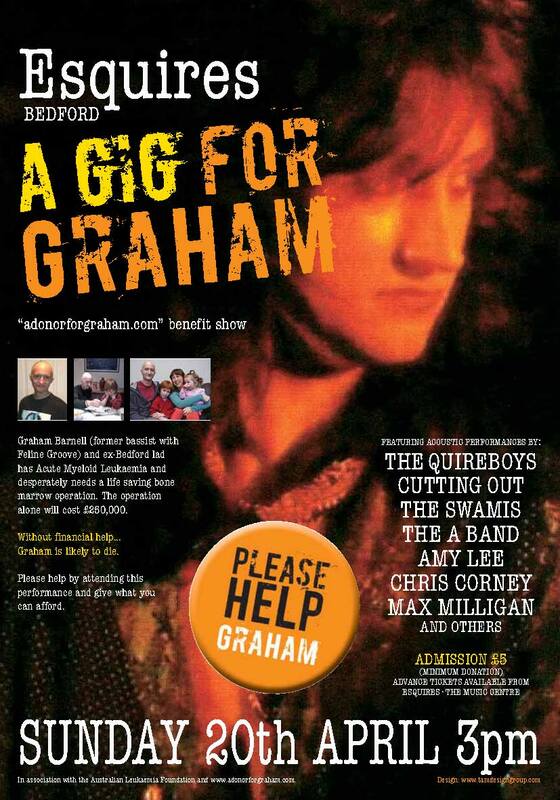 With the help of Pete Burridge and Charlie Codrington, Guy has organised an acoustic benefit show with The Quireboys for Graham at Bedford Esquires on Sunday 20th April. Also appearing will be Cutting out, the Swamis, Amy Lee, Max Milligan, Chris Corney (the Ravines), The 'A' band with more acts to be confirmed. Thanks to Ross Walker and all the St Leonard's Families for organising this with the Bayside Leader. What a great bunch of people you are! Have a look at this fantastic video! Erica is looking for a mixed race donor. The fundraising is gathering steam and as you can see on the front page we have raised just over $30,000. Thanks so much for all your support. It is overwhelming and heartwarming at the same time! Speaking of support, Mark Coles, who replaced Graham as bass player in the band "Red Road" in 1996 has been organising a benefit gig in London with the help of Ed Hudson, Helen Turner, Iain Black & Jeff Braithwaite who were all in Red Road with Graham way back when. I actually met Graham at one of their gigs in London in 1995 so it's wonderful that they are all back together to help us out now. Thanks guys! Details are below. It's sure to be a fantastic night so if you are in London make sure you get there! Penny's Bone Marrow Donor Recruitment drive in Santa Fe was a success yesterday. She managed to recuit around 50 people mostly of mixed race or ethnic minority backgrounds. And she thinks there will be an agreement with her work (the Santa Fe Council) to continue with sponsoring recruitment drives. Well done Penny and thanks again! I just wanted to remind everyone, even though we are running the fundraising campaign below, it is important to remember that there are thousands of people around the world still waiting for a donor. People of mixed race and ethnic minorities are desperately needed on registries worldwide. Please think about becoming a donor and encouraging others to do so also. Graham still doesn't have a donor and we have been told by his doctors that he doesn't have anymore time to wait for one. If he is to have any chance of survival we need to make a decision about his treatment by the end of March. 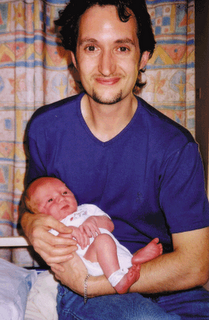 Without a donor his only chance of survival is a Double Umbilical Cord Transplant. This is a relatively new procedure and we have spoken to the two centres in Australia that have the most experience (Westmead Hospital in Sydney and The Royal Melbourne Hospital in Melbourne) about their outcomes. Unfortunately they both only have a 30% survival rate so we have also spoken to the Fred Hutchison Cancer Centre in Seattle in the USA. They have far superior outcomes at around 88% over the last 2 years. What we now want to do is to raise the required $US 500,000 to get him to the USA next month to start this life saving treatment. Please click here for more info on how you can help. Well Graham is home! His counts tripled on Friday night so they let him out on Saturday afternoon. The kids were so excited to see him. We took them to the park on Sunday and had a BBQ tea with friends in the evening. Thanks for a wonderful Greek inspired meal Marianne and Pete! It was great to have the whole family back together and feeling a bit more normal. We are going to make the most of this week as Graham will have a bone marrow biospy later in the week to see if the chemo has worked and then we will have to decide what to do next based on whether he is in remission or not. But for now we are forgetting about the nasty "L" word! Poppy also had her 3rd Birthday last week and Graham was allowed out for the day. She had a fantastic time, starting kinder and having a party in the afternoon. I have added some photos of her various poses and with her cards and her "big teddy" that she so desperately wanted! Graham is still waiting for his blood counts to come back up and is feeling quite frustrated and fed-up at the moment. The fact that his mouth is full of sores making it very difficult to eat and talk doesn't help matters. Still no donor and I have set up a facebook page to try and recruit more people. Please have a look and encourage people to join up. Penny is doing a great job organising her drive in New Mexico and it is slated for March 18th. She will be doing some newspaper ads, press release and radio ads as well as getting the info out with paychecks and by email to the 700+ employees at her work, many of whom are Native American. Graham finished this last round of chemo last week and he is feeling good, all things considered. No fevers, no nausea and no major weight loss, so he has really sailed through this lot compared to the rounds last year. Hopefully his counts will start to rise this week and he can come home next week in time for Poppy's 3rd Birthday and 1st day at Kinder. We still don't have a donor and you may remember that Graham has a rare genetic combination that includes genes that are prevalent in Indiginous American Indians (North & South). So these past couple of weeks, we have been in touch with Penny Ellis-Green, an ex-girlfriend of Graham's who is now married with 2 girls and living in New Mexico in the USA, to ask if she would help recruit Native Americans to the National Marrow Donor Program. She has been fantastic and really has the ball rolling and will be holding a drive at her work as well as getting the message out to the Native American communities. Thanks so much Penny and fingers crossed that we will find a match for Graham. Graham went for a routine blood test on Tuesday 29th Jan 2008 and unfortunately some of his blood levels (neutrophils and platelets) were a bit low. His Doctor scheduled a Bone Marrow Biospy for the next morning and told us to come and see her on Friday for the results. However, she rang late Wednesday afteroon to bring the appointment forward - so we weren't expecting good news . And it wasn't - Graham has 60% blasts in his BM so he went back in to The Alfred Hospital on Friday for another induction chemo. It is so upsetting that it has come back so quickly. It can be such an agressive disease. Only last month, all he had was low level molecular disease and now he has 60% blasts in his marrow. It was very unexpected as he was feeling fantastic and looked the best he has since the treatment last year. It is now imperative that we find a donor so if you have been thinking about joing the registry - NOW is the time to do it! The Bone Marrow Recruitment Drive was a real success on Monday night. Thank-you to all those people that took time out of their busy schedules to come along and give some blood. We had 29 people sign up to the register. 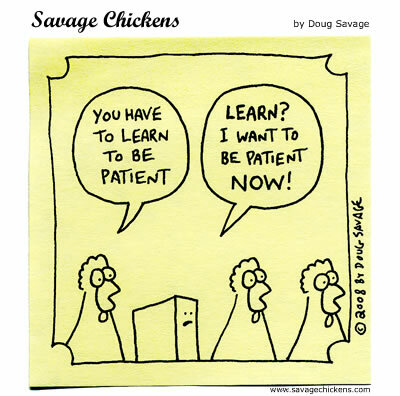 It will be 2 weeks till the tissue typing results are back, so fingers crossed! It is a long shot but hopefully one of the new potential donors may be able to help someone waiting for a transplant. You may be able to save a life! Thank-you for your interest in the above. We are holding a Bone Marrow Recruitment Drive with the Australian Bone Marrow Donor Registry where you and any other people you have recruited can come along and give a small amount of blood to be tested. It is going to be held in the Junior School at St Leonard's College, South Road, Brighton between 4pm and 7pm on Monday the 13th August. I need at least 40 people and will be making appointments at 5 minute intervals. 1.0 Read this - as it explains everything you need to know about being a donor. In particular, I should point out that you can't just register for Graham but you must be prepared to help anyone in the world looking for a donor if you are a match for them. 2.0 Contact me on 0429 459 089 to say you and your siblings/friends would like to come along and book a time with me. At this stage, I also need your postal address so I can send the forms out ahead of time to save time on the night. 3.0 Turn up and give some blood and maybe save a life! We've been in the news! Have a look here and here. Well.. a donor for graham has a MySpace page. We recently found out that the two alleles they can't match (DRB1*0404 and DRB1*0407) are prevalent in Indiginous American populations. It seems that the registries worldwide need more young males aged 18 - 40 with diverse ethnic backgrounds. So I have been hooking up with men aged between 18 - 40 of the above heritage here in Melbourne on MySpace and hope to have 40 - 50 people in the next couple of weeks and then the Blood Bank will come to us to test everyone. I will keep you posted but in the meantime, if you are interested in participating, please read this first. If you have any questions, drop me a line. Graham has donated his stem cells this week to go in the freezer if needed later. It was pretty straight forward but he did have to go into The Alfred on Wed, Thur and Fri for them to get enough cells so he is glad it is over with now. He is back to work on Monday so it feels like we are getting back to normal. Graham had a check-up at The Alfred today and was given the cytogenetic results from his most recent bone marrow biopsy. The genes are still normal which is fantastic and means the AML is in remission both pathologically and cytogenetically and they can safely harvest his own stem cells as an insurance policy against relapse. He has also been given the all clear to think about returning to work part-time. We are going to wait till he has donated his stem cells next week and then once he recovered from this, our lives may return to some normality! 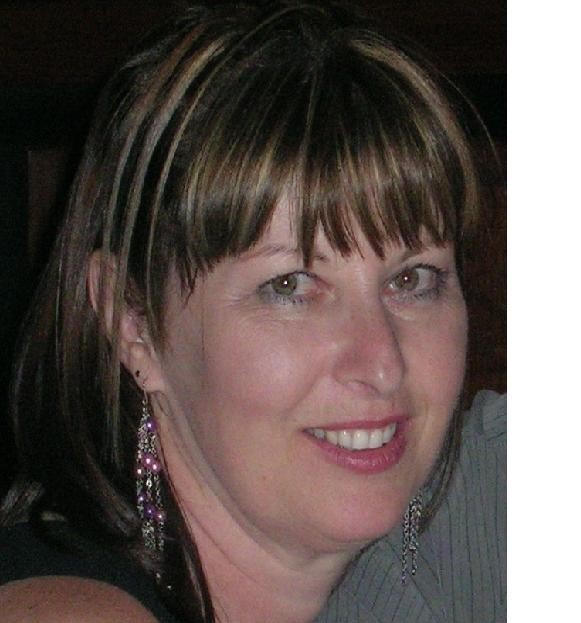 We saw Dr Sharon Avery at The Alfred Hospital last Monday and she said there was still no news on a possible donor. We discussed planning for an autologous transplant and she booked Graham in for a stem cell collection on the 25th July, so we can use them as a back up if we can't find a donor.